This volume sheds light on two brilliant but lesser known ghetto journalists: Josef Zelkowicz and Peretz Opoczynski. An ordained rabbi, Zelkowicz became a key member of the archive in the Lodz ghetto. Opoczynski was a journalist and mailman who contributed to the Warsaw ghetto's secret Oyneg Shabes archive. 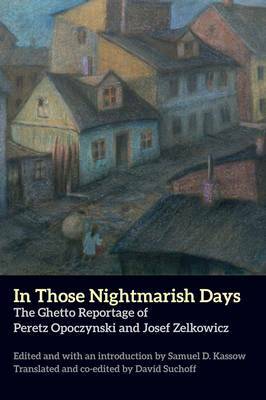 While other ghetto writers sought to create an objective record of their circumstances, Zelkowicz and Opoczynski chronicled daily life and Jewish responses to ghettoization by the Nazis with powerful immediacy. Expertly translated by David Suchoff, with an elegant introduction by Samuel Kassow, these profound writings are at last accessible to contemporary readers.